Mushrooms are known for their delicious taste and versatility in the culinary world. Not only that, many of the popular species are rich in essential nutrients that can help fight or prevent certain diseases. Apart from these benefits, do you know that mushrooms are generally low in carbohydrate? This makes them ideal for those trying to lose weight. Just continue reading on and we will show you why. Should you avoid carbs to lose weight? According to Livestrong.com, carbohydrates are sugars in food that your body will eventually turn into glucose for energy. There are different types of carbohydrates in food. Simple carbohydrates are found on fruits and refined sugar. Complex carbohydrates, on the other hand are present in starches, grains, vegetables, brown rice and mushrooms among others. The complex carbs are considered as good carbs which are healthy for the body. It is important to remember that carbohydrates are an essential source of fuel or energy for the body. They are important for the normal functioning of the central nervous system and the brain. You also need carbs to propel your body during exercise. Mushrooms are low in carbohydrates. For instance, a cup of whole white mushrooms just contains about 3 grams of carbohydrates. Here is a summary of carb contents of some of the popular mushrooms. These numbers are from Calorielab. 1. The calorie density is low to moderate. This means that we can eat a good amount of these foods to satisfy our hunger without worrying about consuming more calories. 2. High in many essential nutrients. 3. Does not contain refined sugar. Our body is used to processing unrefined sugar. Consuming more mushrooms helps you prevent obesity and Type 2 diabetes. 4. High in naturally occurring fiber, which helps lower not only blood sugar and insulin levels but also LDL bad cholesterol. Fiber-rich foods also help you fill up on fewer calories so that you can lose weight more easily. A high-fiber diet also helps prevent constipation, hemorrhoids and certain cancers. Americans average just 12 to 15 grams of fiber a day. Nutrition experts say we ought to be getting at least 35 to 50 fiber grams daily. 5. Low in sodium content, helping you avoid health conditions associated to consuming more sodium. 6. Low in saturated fats. Consuming foods that are high in saturated fats will increase the level of cholesterol in your blood. This in turn increases your risk of stroke and heart disease. 7. Very low in cholesterol and no trans fats. Trans fats occur in small amounts in nature. Trans fats are often associated with increased risk of coronary artery disease which is one of the leading causes of death in many Western countries. 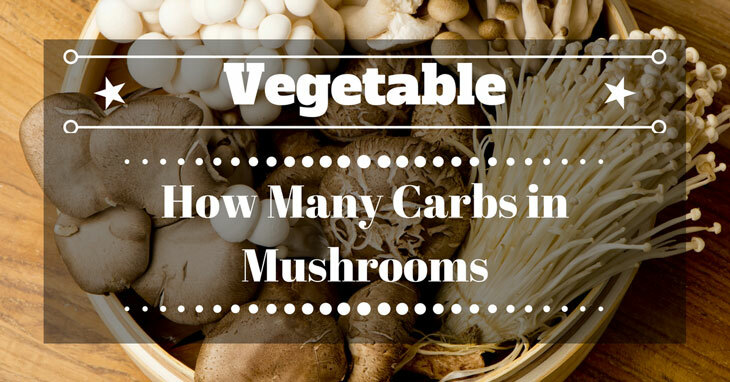 Knowing how many carbs in mushrooms there are, it is now easier to incorporate this type of food in your diet especially if you are on a low-carb diet. A low-carb diet is designed to help you shed excess body weight. It can also help you prevent certain diseases such as chronic fatigue syndrome, diabetes, polycystic ovarian syndrome and epilepsy among others. The amount of ideal carb intake per day depends on your age, gender and overall physical condition. Being on a low-carb diet for a long period of time may also adversely affect your health. That is why it is important to consult your doctor before starting your low-carb diet. Now that you know how many carbs in mushrooms are contained, you’ll have peace of mind every time you indulge in this delicious treat. Next time you are craving for some delicious food which you know is high in carbs, try substituting it with mushrooms. Mushrooms are not only delicious but they are also rich in many vitamins and minerals that are needed by the body. Did you find this article helpful? 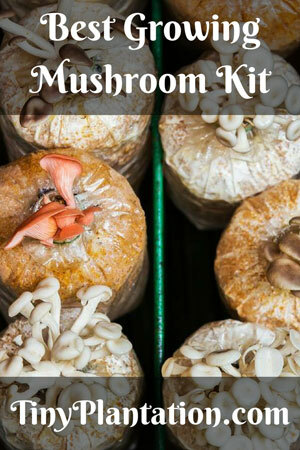 Do you have any secret mushroom recipe that you want to share? Please do so through our comment section. Also, please share this article in your social media account.